200 West Street is a 740-foot (230 m) tall, 43-story building that opened in January 2010 in the Battery Park City neighborhood of Manhattan, New York City USA. It is the global headquarters of Goldman Sachs. It is located on West Street, between Vesey and Murray Streets. 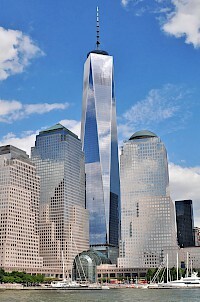 It is adjacent to the World Financial Center and the Embassy Suites hotel, across the street from the Verizon Building, and diagonally opposite the World Trade Center site and One World Trade Center. 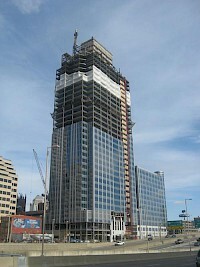 The Great American Tower at Queen City Square, is a skyscraper currently under construction in Cincinnati, Ohio. 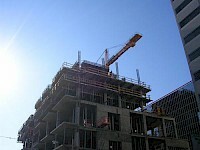 The tower, built by Western & Southern Financial Group, began construction in July 2008, with completion set for 2011 at a cost of $322 million. Half the building will be occupied by Great American Insurance Company headquartered in Cincinnati. 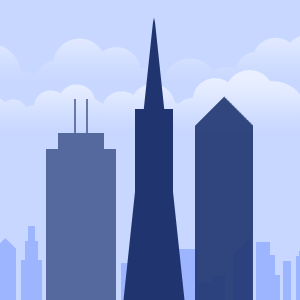 The InterContinental San Francisco at 888 Howard Street is a highrise hotel in San Francisco, California. The hotel is 340 feet (104 m) tall and has 32 stories containing 550 hotel rooms, operated by the InterContinental Hotels Group. 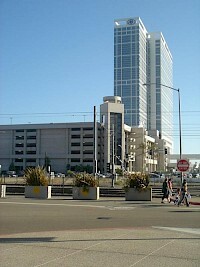 The hotel is next to the Moscone West Center, completed in 2003. 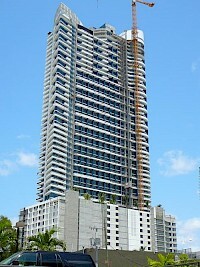 The hotel opened on February 28, 2008. 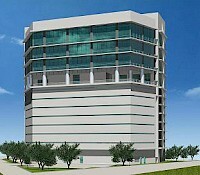 There is a two level underground garage and a six floor podium housing hotel amenities. 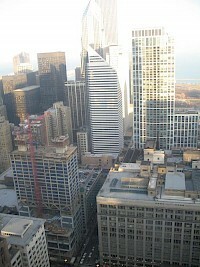 The Joffrey Tower is a high-rise commercial real estate development on the northeast corner of North State Street and East Randolph Street in the Loop community area of Chicago in Cook County, Illinois, United States that is the permanent home of the Joffrey Ballet. 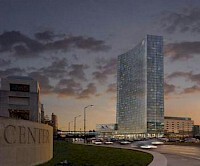 JW Marriott Indianapolis is a hotel that is currently under construction. The hotel is expected to be 34 floors and 376 feet (115 m) tall, making it the 7th-tallest building in Indianapolis and tallest hotel in Indiana upon completion in 2011. It is expected to have over 1,000 rooms and will have 3 underground parking garages. 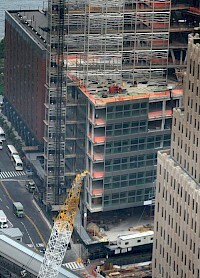 When completed, it will be the largest JW Marriott hotel in the world. The facility is owned and will be managed by White Lodging. Legacy at Memorial is a 25-story apartment building containing 274 units, with a smaller structure containing 60 lofts located on 3.3 acres and located along Memorial Drive in Houston, Texas.